From carefully selecting your office Secret Santa to spontaneously hosting a Christmas dinner for friends, there’s something about this time of year which makes us more inclined to reach out to those around us and remind them how much we care. For ecommerce marketers, this includes communicating with customers in a relevant and engaging way—whether that's to help them out with their Christmas shopping or just say hello. 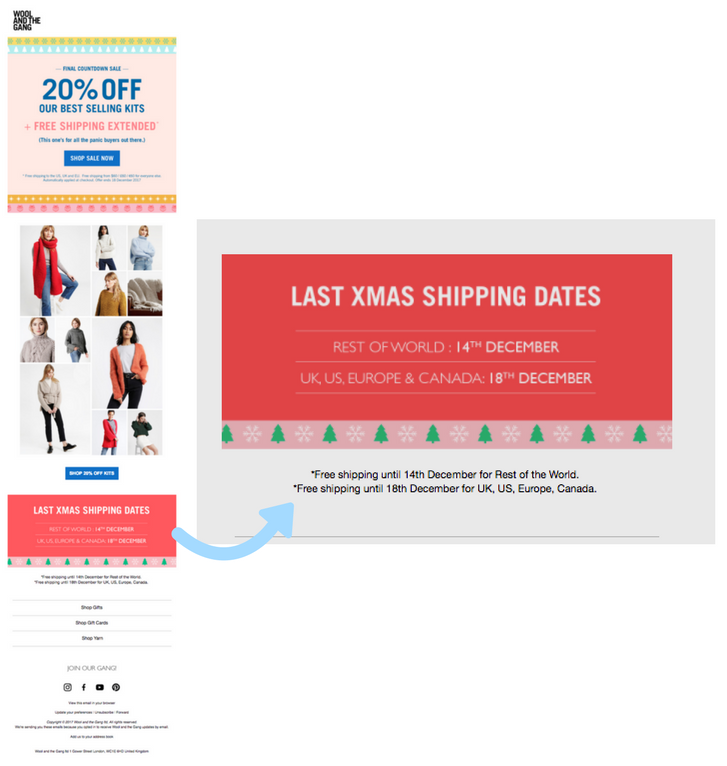 Below are four retailers personalising their festive emails this December. 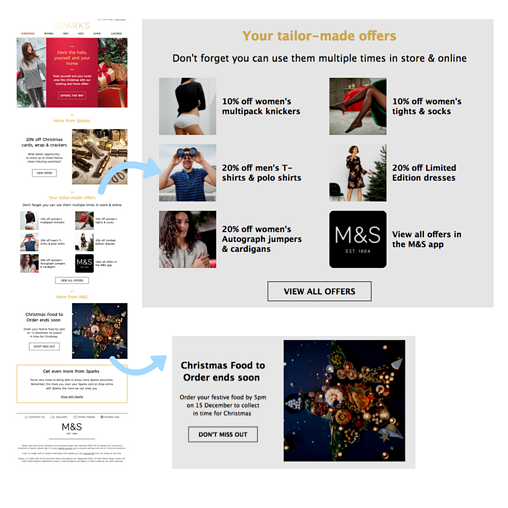 This Christmas themed email from M&S draws on all of the information the retailer has about the recipient, who is a Sparks loyalty card owner, to provide the most appropriate offers on the most relevant items. 💡 Why not try… Sending gift recommendations, as well. If you have a segment of gift shoppers, look at their purchase history to figure out the sort of items they might be after this year. The gif below, spotted in an email from LoveKnitting, stood out for us not only because of its evocative copy and design, but also for its amazing Christmas countdown (which uses dynamic content to update for each individual recipient). 💡 Why not try… Experimenting with dynamic content (if you’re not already). By reminding customers how long they have until Christmas Day (or any other event, for that matter), retailers can not only help recipients remember how long they have left to buy gifts, but also generate excitement leading up to the big day. A dynamic countdown like this could also work for New Year's Eve, a seasonal sale or a birthday. Want to read more about dynamic content and how it works? Click here. On the subject of sending genuinely helpful content to customers, we love the way in which Wool and the Gang incorporates a shipping dates reminder in its festive email marketing. Again, this serves to remind recipients of when they need to place their order by if they want to receive their gifts in time for Christmas Day. Wonderbly is another savvy retailer reminding customers when they need to place their orders by - this time in the form of an email banner. Beyond offering relevant delivery reminders, Wonderbly also manages to make this email feel tailor-made by including genuinely brilliant - and timely - content. The DIY tree decoration tutorial is likely to resonate with any mum, dad, aunt or friend with a little one around this time of year. 💡 Why not try… Offering free and fun content to your subscribers. 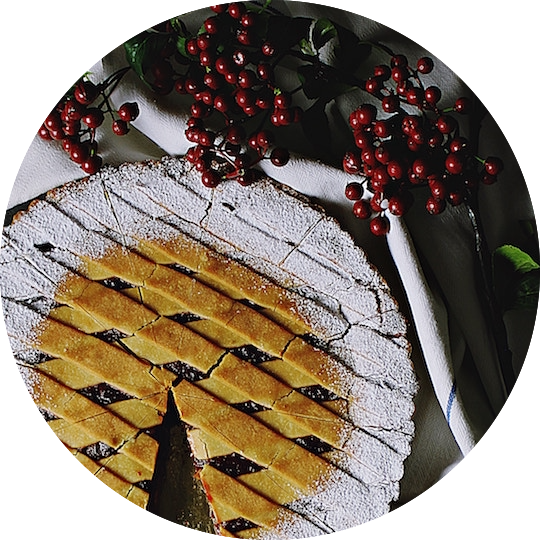 The nature of the content will depend on your brand and each individual recipient; for example, if you’re a beauty brand, you might want to offer a free "Christmas party" makeup tutorial to subscribers that seem to engage with this type of content, or if you’re a food and drink retailer, you could include some seriously festive and delicious recipes. Wonderbly has got Christmas email marketing down to a fine art, so here’s another good example. What’s great about this email is that it seeks to spoil its customers by treating them to complimentary gift-wrapping (just so long as they place their order within a specific timeframe). Again, this is a relevant perk for the time of year, and is likely to appeal to any gift-shopper looking to please a loved one. 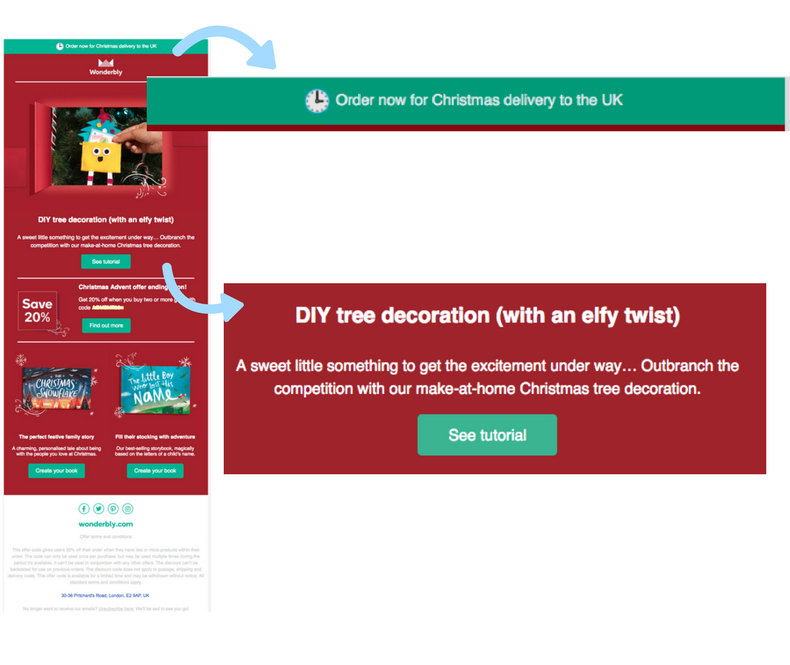 💡 Why not try… Sending personalised incentives to your customers. 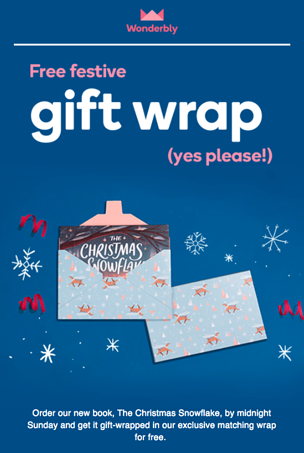 Use the data available to predict what each individual recipient will appreciate the most - this could be free gift wrapping for the design-conscious customer, free delivery for frequent buyers or even a complimentary gift for your most loyal shoppers. As we hope the emails above demonstrate, Christmas is all about being there for your nearest and dearest - whether that’s spoiling them to something special or helping them in their quest to find the perfect gift for a family member. 🎄 Personal invitations to in-store events: If you know your customers’ nearest stores, why not remind them of any seasonal parties or sales taking place? 🎄 Give customers a chance to win something special: Be it an item, gift they can give to someone else or a holiday. Christmas competitions are also an effective way to boost user-generated content, spread brand-awareness and interact more with your customers. 🎄 Social media campaigns: From Ohhdeer's "advent" to Barbour's "gift they'll always remember",this year we've seen some pretty awesome Christmas campaigns on social media - specifically Instagram. If you're going to try this out, remember that those looking at it will probably be serial scrollers, so try to keep it super visual with a strong, easy to follow call-to-action. 🎄 Facebook custom audiences: Reach out to those active on social media using Facebook custom audiences; these ads could include the same festive messages and visuals used in your email marketing, or tweaked for a Facebook or Instagram audience. Custom audiences can be used to retarget email non-openers, or - using lookalike audiences - find people similar to your subscribers who haven’t discovered your brand yet. Lookalike audiences work by taking a list of contacts, uploading it to a social network and targeting users of that social network who share similar traits to the original list. So, for this time of year, you could target these contacts with Christmas ads specifically designed to introduce them to your brand and Christmas promotions. To read more about cross-channel tactics at Christmas, check out this blog post we published last November.